Remote control over WiFi for the original Yamaha 01v series of Mixing consoles. To use this App, UMMU Server must be installed on the host computer (Available for OSX and Windows, Lion and Windows 7 supported). 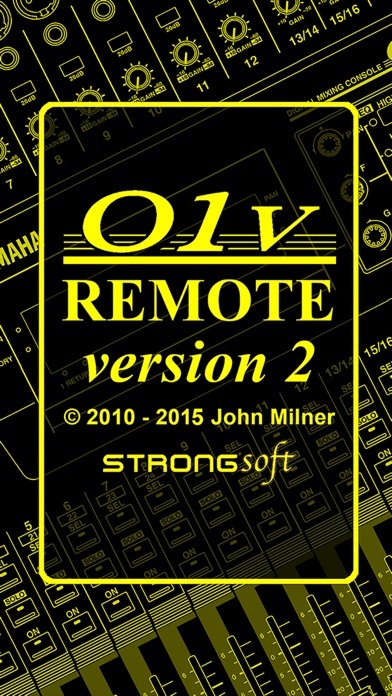 Both versions available as free downloads from: http://www.strongsoft.co.uk. A MIDI interface (eg MIDISport 2 x 2) is also required. The App controls the console using Sysex NRPN messages over WiFi. You can also use UMMU Box, a standalone interface manufactured by StrongSoft, and available on eBay. if you use UMMU Box, you don't need a MIDI interface or host computer.